Craig Jensen received his B.S. in Chemistry from the University of California at Santa Barbara in 1979 and worked in industry for a year before entering graduate school. 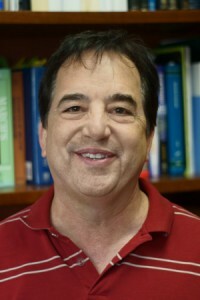 He received his Ph.D. from UCLA in 1984 and after postdoctoral research at the University of California at San Diego, he joined the University of Hawaii faculty in 1986. Langmi, H. W.; McGrady, G. S.; Liu, X.; Jensen, C. M. Modification of the H2 Desorption Properties of LiAlH4 through Doping with Ti J. Phys. Chem. C 2010, 114, 10666–10669. Hagemann, Hans; Longhini, Moise; Kaminski, Jakub W.; Wesolowski, Tomasz A.; Cerny, Radovan; Penin, Nicolas; Sorby, Magnus H.; Hauback, Bjorn C.; Severa, Godwin; Jensen, Craig M. LiSc(BH4)4: A Novel Salt of Li+ and Discrete Sc(BH4)4- Complex Anions. J. Phys. Chem. A 2008, 112, 7551-7555. Orimo, Shin-ichi; Nakamori, Yuko; Eliseo, Jennifer R.; Zuettel, Andreas; Jensen, Craig M.Complex Hydrides for Hydrogen Storage. Chem. Rev. 2007, 107, 4111-4132.